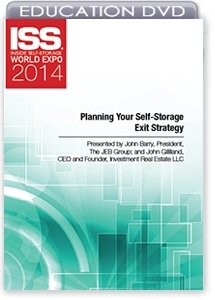 Planning your self-storage exit strategy involves more than getting a good price for your facility. How you prepare will affect your sale price, lifestyle, family and retirement. In this session, our presenters will share information about how to market your self-storage facility for sale, obstacles that can kill the deal, tax considerations, succession strategies, reinvestment options and more. The information shared will apply to all self-storage owners but will be most beneficial for owners of one to 10 facilities.